Visit RT. com on the latest news and updates on from Argentina, which is a South American country. Its capital is Buenos Aires. It is one of the most developed countries in Latin America. Argentina is an upper-middle-income economy. It mainly relies on natural resources and agriculture. Get the latest news and reports on economy, finance and market in Argentina. Moreover, RT covers travel, cultural and sport news from Argentina, including on one of the famous Argentinian footballers Lionel Messi. Argentina is a member of G-20, UN, WTO, Mercosur, and other international organizations. 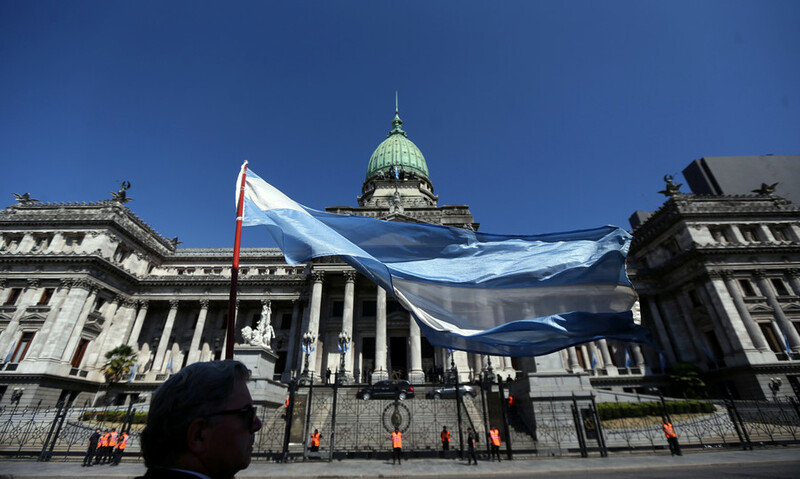 Don’t miss the political news and updates from Argentina and its relations with other countries. 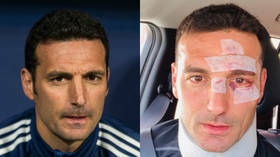 Argentina head coach Lionel Scaloni has posted a picture thanking well wishers and sporting a neck brace and an abrasion-laden face upon leaving hospital after being struck by a car while cycling in Mallorca. 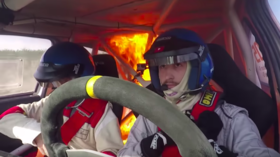 Stunning video footage has emerged of a potentially catastrophic accident that occurred during a recent rally in Argentina, in which two drivers had to make a quick exit as flames and thick smoke engulfed their car. 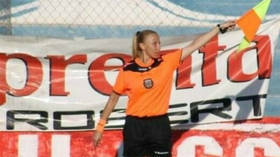 Lineswoman Rosana Paz suffered a “serious burn” after reportedly being attacked with boiling water by fans at a game in the Argentinian lower leagues. A state visit got off to a bad start for King Felipe VI and Queen Letizia when they landed in Argentina on Sunday, as the Spanish royals were left stuck inside their plane because the airstairs were too short to reach the door.